Stunning doping revelation regarding one of football's biggest star! 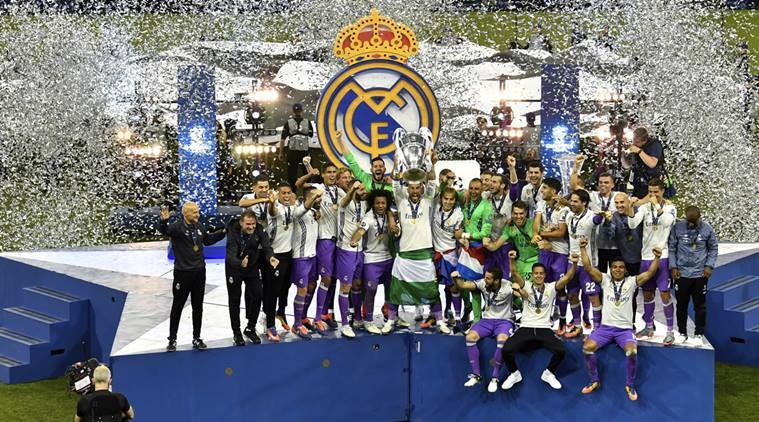 Going back to May 2017, Madrid were targetting a second straight Champions League crown and faced off against a Juventus side who had been impressive in Europe throughout that campaign. Los Blancos took the lead thanks to Cristiano Ronaldo before Mario Mandzukic equalised via a stunning overhead kick. From there, however, it was all Madrid. Ronaldo scored a second while Casemiro and Marco Asensio also netted to seal the deal for Zinedine Zidane’s boys. And now, that summit clash is in the news again, with question marks regarding Ramos. As per the latest Football Leaks from Der Spiegel, the Spain international had failed a drugs test right after the game. It is alleged that his sample contained traces of dexamethasone, which is allowed to be used by players as long as UEFA are notified in the doping control form. In Ramos’ case, though, UEFA wasn’t notified. It is also claimed that on the list of substances for the sample following the game, ‘there is no mention at all of the dexamethasone.’ After this came to light, Madrid’s doctor, labelled as Dr. A, explained that he penned down the name of the wrong drug in the doping report (Celestone Chronodose) and was not making attempts to avoid anti-doping regulations. Der Spiegel claims that European football’s governing body accepted that it was “most likely” an administrative mistake had been made, and let the World Cup winner off the hook. The number of skeletons that keep popping out of the closet of FIFA and UEFA just keep getting bigger! If the allegations of Ramos’ failed, or rather hidden, drugs test failure are true, then the game in is dire straits and needs a clean sweep from bottom to top. For neither the world nor the continental governing body have done anything to bring fear into the minds of anyone, and in fact, they seem to have played a culpable role in letting such practices fester and grow. Los Blancos is prepared to bid for the Tottenham star.